You'll be £30.00 closer to your next £10.00 credit when you purchase Pilot Cutters Under Sail. What's this? The pilot cutters that operated around the coasts of northern Europe until the First World War were amongst the most seaworthy and beautiful craft of their size ever built, while the small number that have survived have inspired yacht designers, sailors and traditional craft enthusiasts over the last hundred years. Even in their day they possessed a charisma unlike any other working craft; their speed and close-windedness, their strength and seaworthiness, fused together into a hull and rig of particular elegance, all to guide the mariner through the rough and tortuous waters of the European seaboard, bought them an enviable reputation. This new book is both a tribute to and a minutely researched history of these remarkable vessels. The author, perhaps the most experienced sailor of the type, describes the ships themselves, their masters and crews, and the skills they needed for the competitive and dangerous work of pilotage. He explains the differences between the craft of disparate coasts – of the Scilly Isles and the Bristol Channel, of northern France, and the wild coastline of Norway – and weaves into the history of their development the stories of the men who sailed them. Written to complement the recent histories of pilot schooners and open boat pilotage, edited and written by the author, this book will be an essential addition to the libraries of historians and enthusiasts of traditional boats. Deserving of a place in any collector's library for the very high quality of the illustrations alone. An outstanding book, brilliantly produced and illustrated, it should be in every ship lover's collection. Woven into the fabric of his own experience, complemented with excellent photographs, and artwork and sketches from leading marine artist Martyn Mackrill, this is a book no one else could have written. 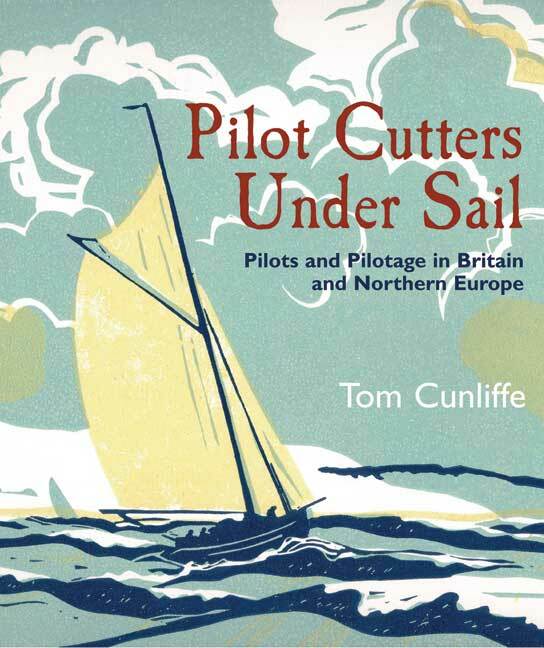 The author has provided an excellent historical review of pilot cutters from their early use through into a new millennium and that spread of history has been illustrated, with some outstanding colour photographs from more recent times. 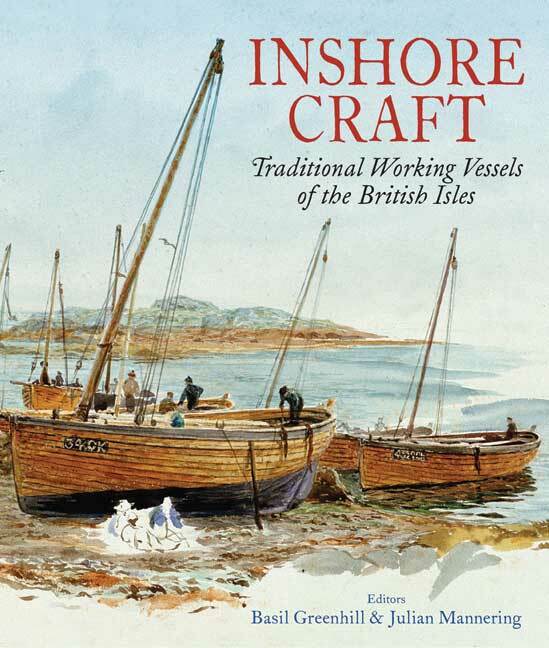 If you have any interest in working watercraft under sail, traditional boats, pilot cutters, maritime art, maritime history, commercial shipping, even how to sail a gaff rigger, this is the book to have. It is, quite simply, superb. In the interest of full disclosure the Cunliffes are friends, I have sailed with them on HIRTA (now CORNUBIA again) and WESTERNMAN, and I was given a copy. Irrespective of those perceived possible conflicts of interest, I rate this book as one of the finest maritime books I have seen in a long time. Only Martin Black's book on GL Watson (a much weightier tome) surpasses it. On the back PILOT CUTTERS is described by Captain Richard Woodman, Elder brother of Trinity House, as the "magisterial history of pilots and pilot cutters," and I can only concur. I am sorry that he used the word magisterial first because it conveys a level of excellence that is top of the line and I wanted to use it to describe this book which is, indeed, top of the line. The narrative is detailed, informative and interesting, the book has such a lovely cover that I intend to place it so the cover faces outwards, and the illustrations, photos, paintings, sketches, and bibliography and index are all carefully chosen, beautifully reproduced and fascinating to peruse. The sketches by Martyn Mackrill in the chapter Pilot Cutter Seamanship are perfect. Every year I select a book as the Christmas gift for several dear sailing friends and family. This is the book for 2013! Ginny Jones (Worked in the wooden boat industry for 40 years).